ROGELIO NAVAR is Vice President in the Los Angeles office where he focuses on acquisitions and development for the California region. Prior to joining Fifteen Group, Rogelio served as Vice President of Land Development for California Home Builders where he was responsible for managing and overseeing development, project management, land use entitlements, permitting, government relations, and community affairs. During his tenure at California Home Builders, Rogelio was instrumental in the expansion of the land use division of the company and directed the development of over a dozen projects and more than 700 new single-family homes and multi-family residential units throughout the Los Angeles area. Previously, Rogelio served as Senior Director for Los Angeles Mayor Antonio R. Villaraigosa’s Office of Economic and Business Policy. Rogelio was the Mayor’s liaison to the City’s Development Services Departments. In that role, he facilitated the expediting of land use entitlements and permits for major real estate development and business expansion projects citywide. Rogelio also advised and oversaw the implementation of the Development Reform Strategic Plan aimed at creating streamlined development review processes. 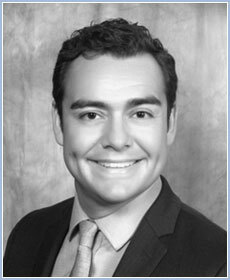 Rogelio received his Juris Doctorate from the University of Southern California Gould School of Law, and received a Bachelor of Arts with a double major in Political Science and History from University of California, Los Angeles. Rogelio serves on the Board of Directors for the Building Industry Association of Southern California Los Angeles/Ventura Chapter and the Warner Center Association.